“What’s this you’re writing?” asked Pooh, climbing onto the writing table. “The how of Pooh?” asked Pooh, smudging one of the words I had just written. “Well, it’s not,” I replied huffily. “What’s it about?” asked Pooh, leaning forward and smearing another word. “It’s about how to stay happy and calm under all circumstances!” I yelled. Have you read it? That is the first page of the amazing book “The Tao of Pooh” by Benjamin Hoff. I bought this book about 10 years ago, because it was about Winnie the Pooh, but I didn’t make it past page 26. It was too philosophical for me, but now, I’m loving it. 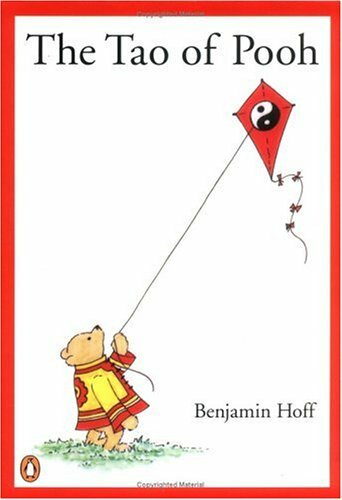 It explains Taoism through Winnie the Pooh and also Winnie the Pooh through Taoism. They are one and the same. Pooh is presented as the Uncarved Block. He may seem simpleminded, but he is always happy. He doesn’t over think, he just is. “When you discard arrogance, complexity, and a few other things that get in your way, sooner or later you will discover that simple, childlike, and mysterious secret known to those of the Uncarved Block: Life is Fun.” -page 20. So you see, we could all learn a great deal from Winnie. Owl is presented as the shcolar who is so concerned with knowledge that he doesn’t do anything else. The opposite of Pooh, really. I think knowledge is good, obviously, it’s what you do with it that counts. Then there’s Rabbit, who’s Clever. “Rabbit’s clever,” sais Pooh thoughtfully. “I suppose,” said Pooh, “that that’s why he never understands anything.” -page 15. Piglet is worried and nervous about everything, never able to just be, because he might be doing it wrong. Eyeore is pessimistic and negative about all that surrounds him. There’s also Tigger, who is unable to control himself. He didn’t like Kanga and Roo at first, because they were different. It’s very interesting to see yourself through these characters, who seem so innocent and childlike. I like to find something about myself in Pooh, not so much in Rabbit, who seems very Annoying. I think there’s a little part of all the animals from the Hundred Acre Woods in all of us. Once you are able to recognize that, you can work with what you like about yourself and what needs more love. I could quote the whole book, but I think I’ll end with this one. “Tigger is all right, really,” said Piglet lazily. Today was a pd day at school (professional developement) which meant that I had to work, but there were no students. We had a presentation on how to have philosophical discussions with kids. I was kind of skeptical at first, because the children I work with are ages 6 to 9. How can you have a philosophical discussion when they’re always saying “That’s not fair”, no matter what the subject is? However, I was pleasantly surprised. We were told to start with children’s books, and go from there. This was very interesting to me because I think most adults could benefit from reading more children’s books. One was about a duck and a rabbit who are next door neighbors, yet never stop to say hello. They see each other in the morning and in the evening, but don’t talk to each other. 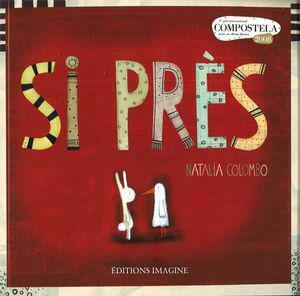 It’s called Si près, which translates to So close. It’s about how they could be friends, but they’re not. It ends with pictures of what it would be like if only they stopped and talked. This was interesting to me because since I have started blogging, I’ve been connecting with people all over the world, yet I have never met my neighbors. I live my life, they live theirs. We live side by side, but never connect. I think, unless you live in a small town, like where I grew up, this is true for many people. We are all so close, yet so far apart. 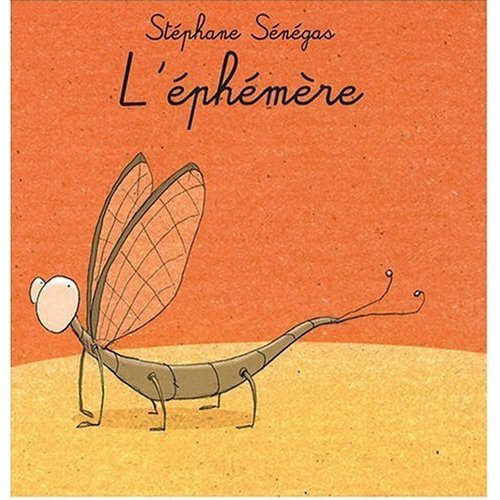 Another book that I liked was about life and death, which can be a heavy subject with kids. However, this story was about two little boys who find a bug. They’re very happy and look it up on the Internet to find out more about it. They are very sad to learn that it only lives for one day. They decide to give it the best day they can think of, so they play pirates, go to the circus, watch a movie, etc. At the end, the bug dies and they are sad, but happy it had a good life. – Why is there death? – Why is there life? – What makes a good life? – What’s more important, a good life or a long life? I am looking forward to discussing this with my students, because although they are small, they are capable of very interesting thoughts and reflexions (other than, “That’s not fair!”) They often will see things that adults miss. I find these questions very interesting for adults as well. When I was in college, I had to take philosophy classes and I did not appreciate it at all. I couldn’t really understand what it was all about, and it never really interested me. I’m very happy I can now start looking for answers to life’s questions between the pages of children’s books. Stop and read one, you never know what you will discover! 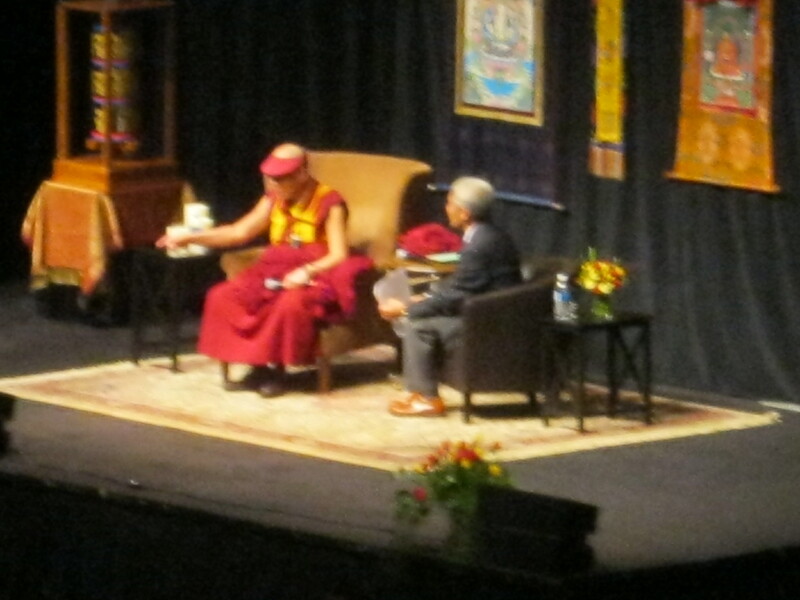 Yesterday, I had the chance to hear his Holiness, the 14th Dalai Lama, speak. 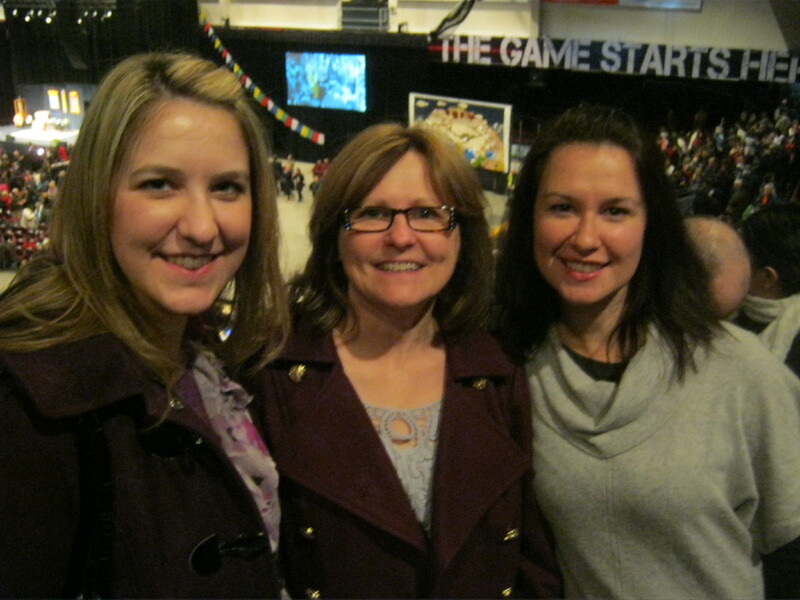 I went to see him with my mom and my sister. I’m glad we went together. Something this special needs to be shared with special people. Nerd that I am, I brought my notebook with me to record interesting things, so I wouldn’t forget them. After 15 minutes, I realized this would not work, as almost everything he said was interesting and insightful. There to introduce him was Richard Gere, which made my mom very happy! The publicity for the event said “His words speak to you. After April 28th, they will speak through you.” This is very true. He spoke of the oneness of humanity. He said he was no different from the 7 billion other humans in the world. He urged us to take care of each other. If I take care of the world, I take care of myself. Most of all, he spoke of compassion. He told the stroy of a Tibetian monk who was held prisonner by the Chinese for 80 years. This monk told him he was in danger. The Dalai Lama told us he thought the monk meant his life was in danger, but the monk said “I am in danger of losing compassion for the Chinese.” My mind did not even go there. I would never think to feel compassion for those we deem “the bad guys” in a situation. However, these bad guys need compassion. They need to be reminded that compassion is universal. No matter how wonderful a religion, it will never be universal. Believer or not, rich or poor, educated or not, compassion is necessary. He talked about our negative and positive attitudes. When something appears negative, 90% of it is your own perception. There were people demonstrating in front of the event with banners that read “Tibet is a part of China. No to seperation.” He said it was good for them to be there, they were enjoying Canada’s freedom of speech, something we sometimes take for granted. He answered questions and one was about how to raise a kind child. He said that what children need most of all is affection. You need to spend time with your children. When they are old enough, you must teach them about the value of human qualities. Then he said he did not have all the answers, as he does not have children. He said maybe, even if he’s 77, he should get married and have a child so he would know more! Everything he said, people already know. Be kind to each other, take care of the world, respect all living beings. But so often, people seem to forget the importance of these things in favour of money, power and greed. I can’t help the homeless, but I will buy a new car. I don’t have time to read my child a story, but I will stay late at work. I can read his books or watch videos, but being there, hearing him talk about the importance of compassion and humanity, was incredible. It is not likely to be an experience I will ever have again. Also, he was really funny! He told jokes and laughed at them. He really is a great human being. Yoga teachers talk a lot. I know, it’s their job. I can relate, because I am a teacher too. I teach little kids, not yogis, but I figure trying to get kids to concentrate on multiplication when they would rather be playing outside might be like getting yogis to do dragon pose when they would rather be in child’s pose. I get it. When I do yoga with my students, it goes something like this. Some of the things yoga teachers have said over the years have really made an impact on my practice. Sometimes, I’m sure I missed a great bit of enlightenment because I was trying not to pass out during my 84th vinyasa, but some things come up every time I practice. Yoga’s about how you feel, not how you look. I really wish I could remember who said that. It was a few years ago, and it really changed my approach. It might seem obvious now, but when you’re a beginner and you’re used to looks being a part of it, like dancing, it’s not easy to get away from that. In our practice, we never want pain, but discomfort? Bring it on! I, like most people, tend to stay away from what makes me uncomfortable. Pointy-toed high heels? Pretty, but I like my toes unsquished. The, “It’s not you, it’s me” conversation? Awkward! 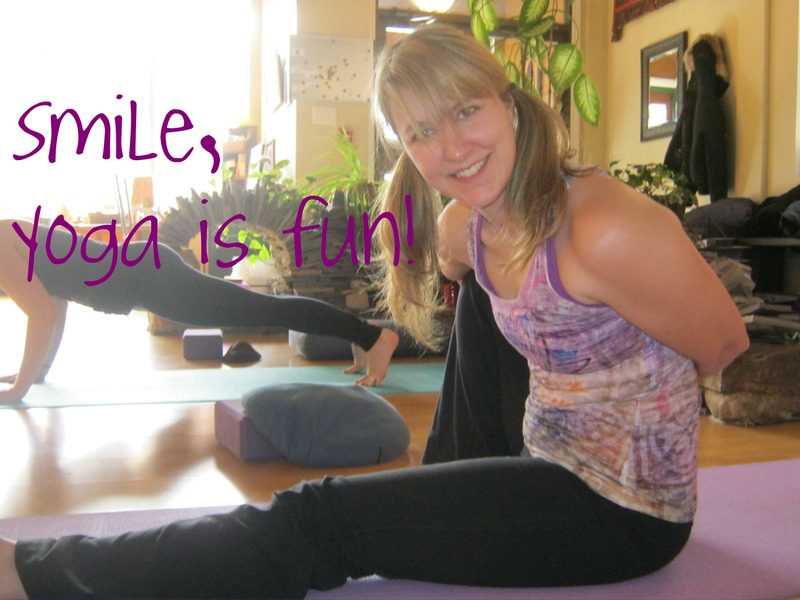 So when it comes to yoga, I naturally try to avoid the uncomfortable stuff. Hello, dragon pose. If we stay in our comfortable poses, we will never learn anything. So, I’m working on my dragon. People who do yoga together, stay together. I like this one because it makes me laugh. It always makes me think that I should not bring people who annoy me to a yoga class, because then I will never get rid of them. Yoga is about self-acceptance, not self-improvement. This one explains itself. I’m not sure if my wonderful yoga teachers thought these quotes up themselves or if they were quoting others, but either way, thanks!